This was the most thrilling day of action so far in the 2013 World Championships. Abebe Aregawi continued her undefeated season and surprised no one by winning off a hard finish, but Jenny Simpson did just about everything she could to prevent it. She stayed out of trouble in the lead for most of the race, ran her last 300 in 44.08, and ran the fourth-fastest time of her life. Hellen Obiri took bronze. Today’s competition was simply the greatest of all time. Bohdan Bondarenko delighted the heavily pro-Ukrainian crowd with his dominating win, but Qatar’s Mutaz Essa Barshim forced the issue. Bondarenko actually passed at eight feet and Barshim had to make it to win. He didn’t, but it is mind-boggling that gold was still in play at such a height, just one centimeter below the world record. Derek Drouin had to settle for bronze with 2.38 meters (7′ 9¾”), the best third-place finish ever. Michael Tinsley took it out hard and nearly held off Trinidad’s Jehue Gordon and it came down to the wire, but the American came up short by a single hundredth of a second. A furious finish saw Serbian Emir Bekric (who?) come up for bronze. All of the top three set PRs; Bekric’s was 49.21 at the end of last year and 48.76 entering the Worlds, but now it’s 48.05. Czech Zuzana Hejnova won as expected and made it a real thrashing with the biggest margin of victory in Worlds history. Americans Dalilah Muhammed and Lashinda Demus took silver and bronze, a big achievement given that the USA’s two best (Kori Carter and Georganne Moline) were not in the final and that Demus was running horribly throughout most of the season. Ezekiel Kemboi won his third Worlds gold (to go with his two Olympic golds) but this time he was pushed hard enough that he only danced a little bit. Teammate Conseslus Kipruto was closest, and France’s Mahiedine Mekhissi-Benabbad took bronze after making a bid for the win on the backstretch. Russia’s Ekaterina Koneva took the lead in the second round from Ukrainian Olha Salduha, only to be passed almost immediately by Colombian Caterine Ibarguen with the year’s best mark, and they stayed in that order through the finish. It was the first-ever track and field gold medal for Colombia at a Worlds or Olympics. Late yesterday, Nick Symmonds took a stand for common human decency by decrying Russia’s anti-gay “propaganda” law. Symmonds got a hundred times the press for that than he did for his historic silver medal and was even the lead topic on ESPN’s “Around the Horn”. Symmonds is a master of using the press for self-promotion but this time I think he was simply speaking from the heart and at some legal risk. So today pole vault champion Yelena Isinbayeva came out with her own statement supporting the law. Ever the bombastic one, Chicago Tribune sportswriter Philip Hersh tweeted that this “reveal[s] her as a Putin puppet” (while the roots of Russia’s law and attitudes are deep and complex) and Universal Sports ran a mini-feature on her that didn’t mention her statement at all, ending with the ever-clueless Tom Hammond complementing her. My personal thoughts are that while I find the law and its roots revolting, I think the world coming to Russia via the Olympics and other international events will change at least some attitudes towards the “other” while a boycott would only harden them. In any case, this writer remembers a time not so long ago in this country when Isinbayeva’s side would be supported more than Symmonds’. Team USA both did very well and (with one exception) did not overachieve. That four medals in one night (plus two more near-misses) qualifies as “meeting expectations” tells you just how good the USA has been over the last two years. That one exception is the women’s hurdles where, as mentioned above, Delilah Muhammad and Lashinda Demus went above and beyond to win medals. Tinsley broke his PR and came up an inch short of the win. Jenny Simpson should have no shame in taking second to Abebe Aregawi. Erik Kynard, the Olympic silver medalist and runner-up in four straight Diamond League meets, finished a somewhat subpar fifth, albeit in the greatest high jump competition in the history of the world. Evan Jager matched his Olympic fifth-place finish in the steeplechase, just barely short of fourth and less than a second from a medal. All of this was good and more or less right on what was expected. Things also went just about to form in qualifying sessions. Three of the four entries in the women’s 200 meters made it into the final, and the men’s 4×400 ran an easy sub-3:00 to get through. All three women made it into the semis of the 800 meters, with two of them (Brenda Martinez and Alysia Johnson) winning their heats. Ryan Whiting led shot put qualifying by nearly two feet, and Reese Hoffa and Cory Martin will join him in the final. Brigetta Barrett had a bit of a scare getting into the high jump final but she’s there and that’s all that really matters. And what of wunderkind Mary Cain? She finished tenth in the 1500 meters and was overmatched for the first time in her young career. It was the fourth-fastest race she’s ever run and probably should feel no shame. But she does feel disappointed, and this is her first real test with that feeling. How a young athlete deals with perception of failure, whether that failure was real or not, is often the difference between those who become champions and those who become flameouts. This was one of the greatest days in recent memory for Canada. 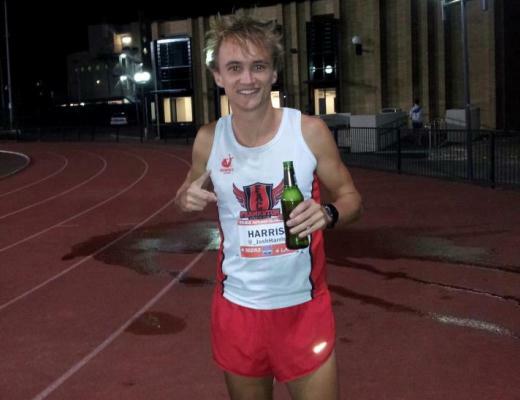 Two national records were broken within minutes of each other. Matt Hughes ran sixth in the steeplechase in 8:11.64, both the best ever in Canadian history. Minutes later Derek Drouin broke his own national high jump record to keep himself alive in the greatest high jump competition the world has ever seen. He ended up with bronze, Canada’s third medal in these Worlds. The best-ever total for Canada at a Worlds is four medals. Alex Genest had a decent outing in the steeple final, running only four seconds off his 2013 best. Melissa Bishop may have been capable of getting out of the 800 meter heats but was well off. Dylan Armstrong got to the shot put final but Tim Nedow had a pretty bad day and didn’t come close. 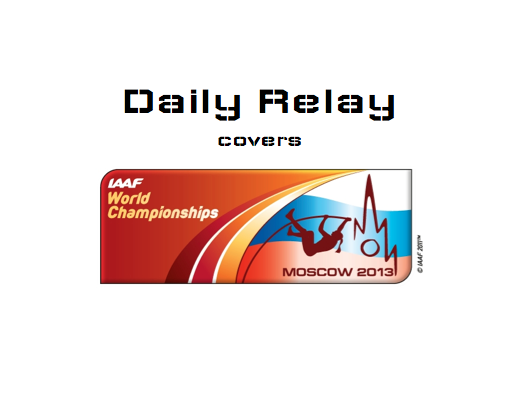 Yet another option is IAAF Radio, which is quite good and will offer live play-by-play from 1:30 to 4:00 AM and 11:00 AM to 1:35 PM. Team USA has two finalists, and Amanda Bingson has an outside chance at a medal. Middle-distance semifinals can be heart-stopping. All three Americans plus Canada’s Nate Brannen are in the semis and all could make the final, but bad things can and do happen in semis. Four-time champion Dwight Phillips made it to the final but another win is a tall order. The crowd will be behind the favorite, Russia’s Aleksandr Menkov. A reprise of The Usain Bolt Show. Three Americans and a Canadian make a North American medal sweep a distinct possibility. Again, semifinals are nerve-wracking, and again three Americans who can all make the final. 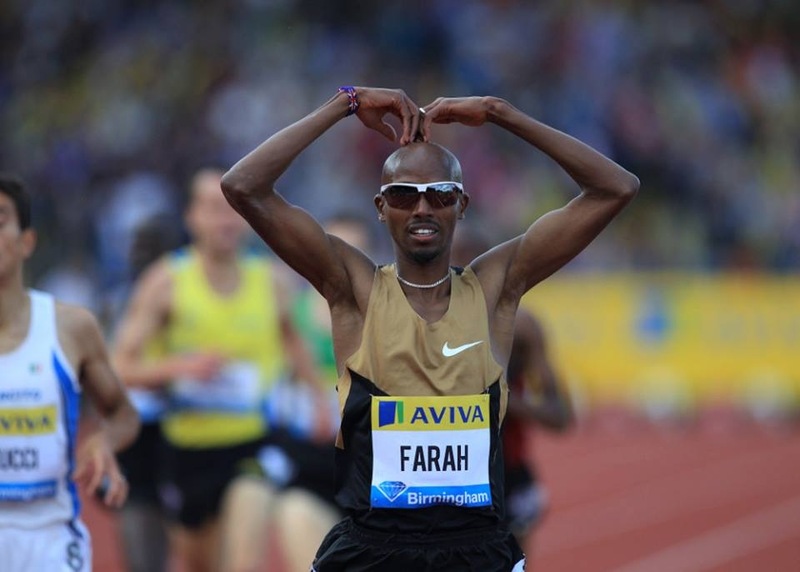 Mo Farah is the overwhelming favorite but Ethiopians Hagos Gebrhiwet and Yenew Alamirew are fierce competitors. Can Bernard Lagat pull a rabbit out of his hat again? And what about Galen Rupp and young Ryan Hill? There are three Americans in the final but the real race is between Allyson Felix and Jamaica’s Shelly-Ann Fraser-Pryce. This event is almost always two races: USA versus the clock, then the other seven for silver and bronze. Leave it to Phil Hersh to put a negative spin on everything track related and jump to conclusions before all the facts are out (see also: declaring track was dead last month, any comments he ever makes on Ryan Hall, etc. ).